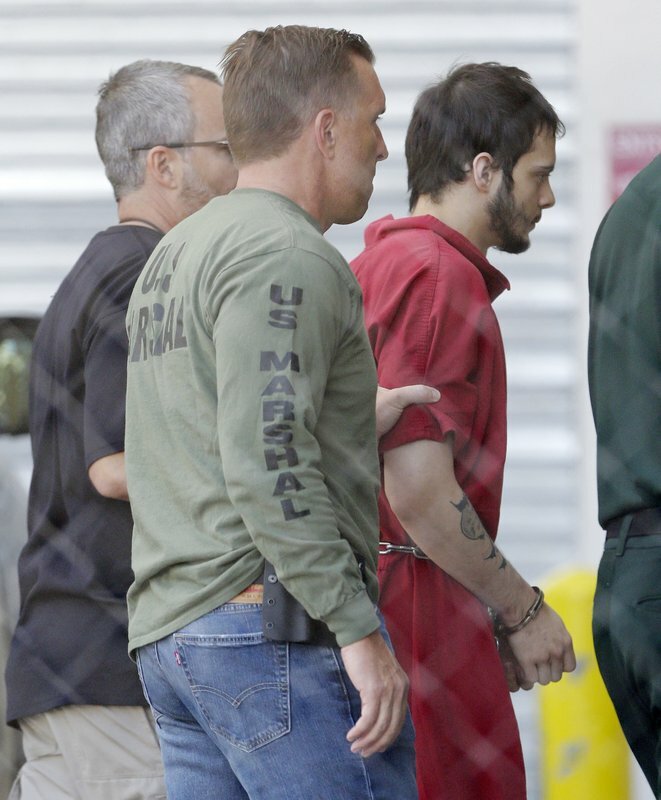 ANCHORAGE, Alaska (AP) — Esteban Santiago stood alone in the cold one day last month outside Mom & Pop’s liquor store in Anchorage. He was waving his arms and having a terrible argument in the parking lot. “He’d just be talking to himself … screaming as if he was having a battle with himself,” said Naomi Harden, a clerk at the store, situated across the street from the motel where Santiago lived. Last week, Santiago got off a one-way flight from Anchorage at the airport in Fort Lauderdale, Florida, arriving with a single piece of checked luggage: a Walther 9 mm semi-automatic handgun in a case. He took the gun out in a bathroom, loaded it and opened fire in the baggage claim area, killing five people and wounding six, police say. After emptying two clips, Santiago lay down on the floor and was arrested, authorities say. He now faces a possible death sentence if convicted. He has yet to enter a plea and is awaiting the assignment of a public defender to his case. Investigators are trying to establish the motive for the attack. The 26-year-old Iraq War veteran was usually a quiet and solitary figure, those who knew and worked with him said. But over the past year, he grew increasingly violent, interviews and records show. And in recent weeks Santiago was seen screaming into the night from his motel window, Harden said. Santiago grew up in Penuelas, Puerto Rico, a once-thriving middle-class town of 20,000 where people worked in petrochemical plants that have since closed. Those who knew him described an intelligent and patriotic boy who joined the Puerto Rico Army National Guard in 2007. A picture taken at a dance shows a beaming young man, his arms clasped around his date’s waist. Neighbors would salute him as he walked down his neighborhood’s narrow streets. Still, he tended to feel more comfortable alone, his brother, Bryan Santiago, said in Spanish, standing outside the family’s home in Penuelas. “He was a normal person. He liked to be inside the house. He didn’t like to go out,” he said. Santiago served about a year in Iraq in 2010 as part of an engineering battalion, clearing roadside bombs and repairing bridges. While there, his family said, he witnessed a bomb explode near two friends. Michelle Quinones, a former girlfriend, told ABC that Santiago wasn’t feeling right when he returned from the war, and sought help in Puerto Rico. “We had let Veterans know that he was having some mental problems,” she said, without giving details. She said it didn’t help, and they broke up. In 2014, Santiago and his brother moved to Anchorage for a new start. Esteban joined the Alaska National Guard and started dating a new woman, Gina Peterson. Bryan eventually returned to Puerto Rico. 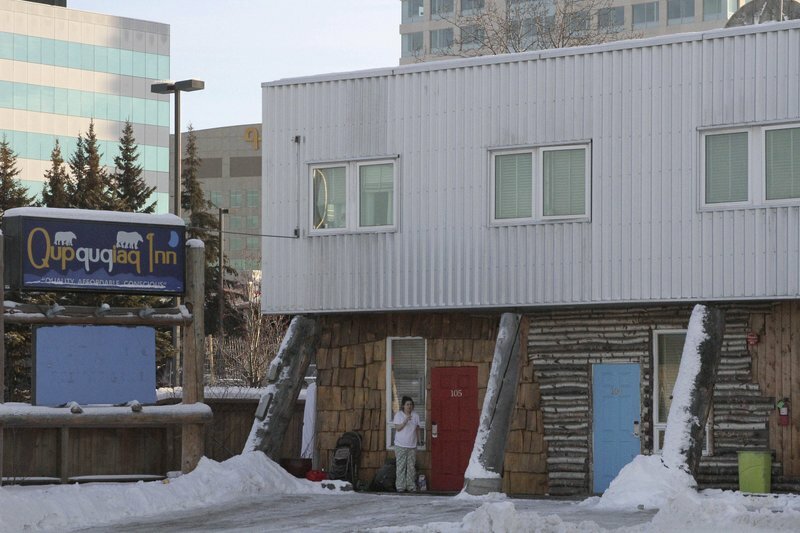 In Anchorage, Esteban and Peterson’s relationship grew, and they had a child. The couple shared a small, rear-facing apartment on an alley in a blue-collar neighborhood. Neighbors said he was not chatty, but never impolite. There was nothing that stood out about him, said Mick Bradford, who lived in the same complex. Santiago got a job as a guard at a security firm, Signal 88, making $2,100 a month. James Foster sometimes worked with him on the overnight shift over three months in 2015. Foster said Santiago was mostly calm, friendly and soft-spoken, and the two were “great partners” when they had to patrol a place together. Foster said he hadn’t seen Santiago since leaving the firm but recognized his face immediately when he saw TV footage of Santiago’s court appearance in Florida. Over the year that followed, though, Santiago became more violent than his friends or family ever remembered him being. In an argument with Peterson in February, he smashed through the locked bathroom door, breaking the doorframe and hinges, according to court documents. He yelled at her threateningly, and she told police he tried to strangle her. Police found no sign of injury, but he was charged with criminal mischief and assault. Santiago was ordered to take a 12-week anger management class. He never submitted proof that he completed it, said Anchorage prosecutor Seneca Theno. By August, his problems had multiplied. He was discharged from the Guard for unsatisfactory performance after going AWOL repeatedly, according to the Pentagon. His brother came for a visit around then and was startled by what he found. “He was paranoid,” Bryan said. In October there were two domestic disturbance calls. He was again accused by his girlfriend of trying to strangle her, but police said there was no probable cause to arrest him in either instance. He stayed in one of the hotel’s six narrow, wood-paneled “pods.” The small rooms had only a bed. In November, Bryan Santiago got a call from Peterson. Esteban had been having mental problems, she told him. 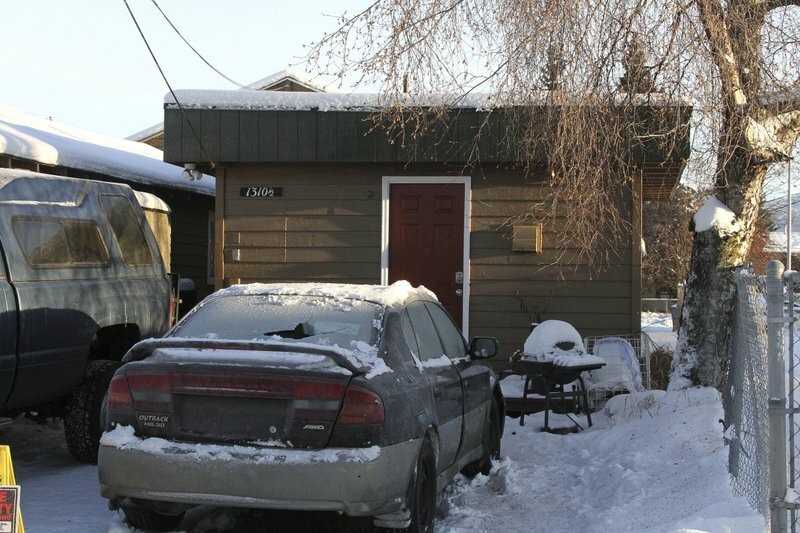 He had gone to the FBI office in Anchorage with a loaded magazine on him and a gun in his vehicle, authorities said. He bought his newborn child with him into the office. Santiago told the agents that he believed he was being influenced by the Islamic State group. He said he was having terroristic thoughts and believed the U.S. government was trying to control his mind, according to authorities. Agents seized the weapon, and police took him to get a mental health evaluation. The doctors did not think he needed to be committed, and after four days he was released. Santiago was also given back his gun on Dec. 8. It is unclear whether it was the same weapon used in the airport shooting. Nor is it clear why Santiago went to Florida. He had some family there, but they said they hadn’t seen him in years. He had also booked, and canceled, another flight, an Alaska-to-Puerto Rico trip that would have included a layover in New York on New Year’s Day, according to a law enforcement official who wasn’t authorized to discuss the investigation and spoke on condition of anonymity.